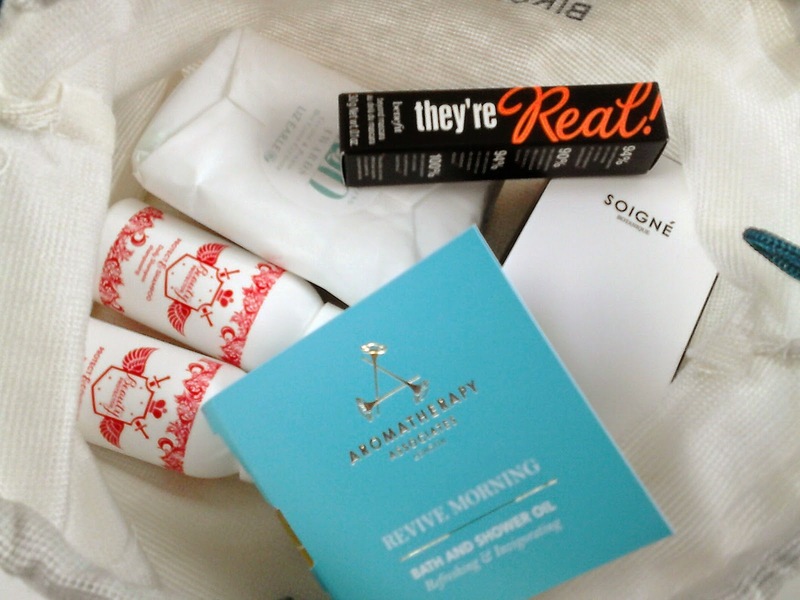 Over the last few months I have been deliberating about subscribing to a beauty box as I've heard so many wonderful things about them. I love the thought of having a box of goodies being delivered to my door and not knowing what I will receive. It is so exciting. I finally came to the decision of subscribing to Birchbox thanks to the lovely Gemma(GemmaEtc) with her cheeky preview of the beautiful harpers bazaar box on Instagram. I just couldn't resist it. 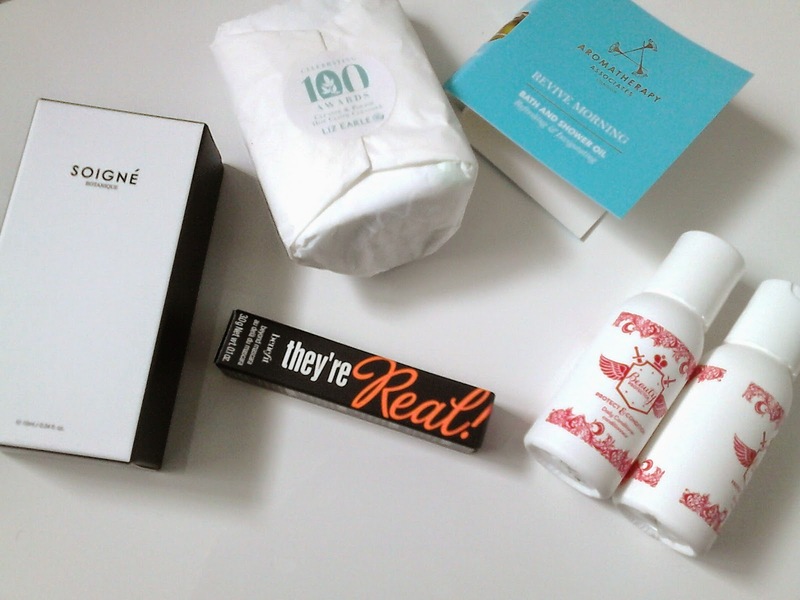 It's my very first birchbox and I couldn't be more pleased with it. 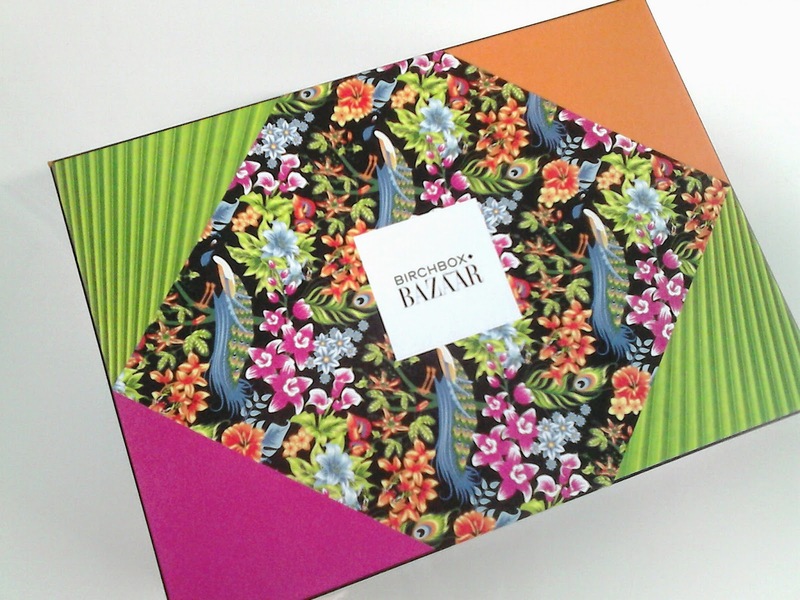 Please take your time to appreciate the design of the Harper's Bazaar Birchbox, isn't it beautiful? It's definitely spring/summer inspired with the floral and peacock theme and bright, attractive colours. It's extremely appealing to the eye. The theme for the Harpers Bazaar Birchbox is the Great Outdoors. "It's that time of the year when you're itching to get outside and explore the great outdoors whether that means a picnick in a park or a ramble through the woods". 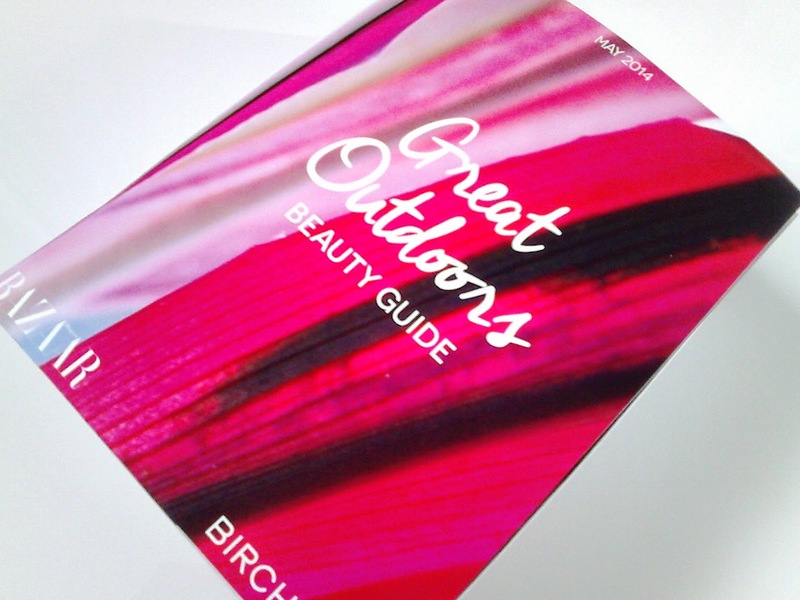 The Birchbox includes a Great Outdoors Beauty Guide which is a mini magazine full to the brim with information on all products featured in the Birchbox and a few tutorials and tips too. The Birchbox also included an incredible Harpers Bazaar offer, a subscription of £12 for 12 issues of Harper's Bazaar Magazine. It's a fantastic offer which I am really tempted to take advantage of- it's a saving of 76% and only £1 per issue. Offer ends on 30th June 2014. 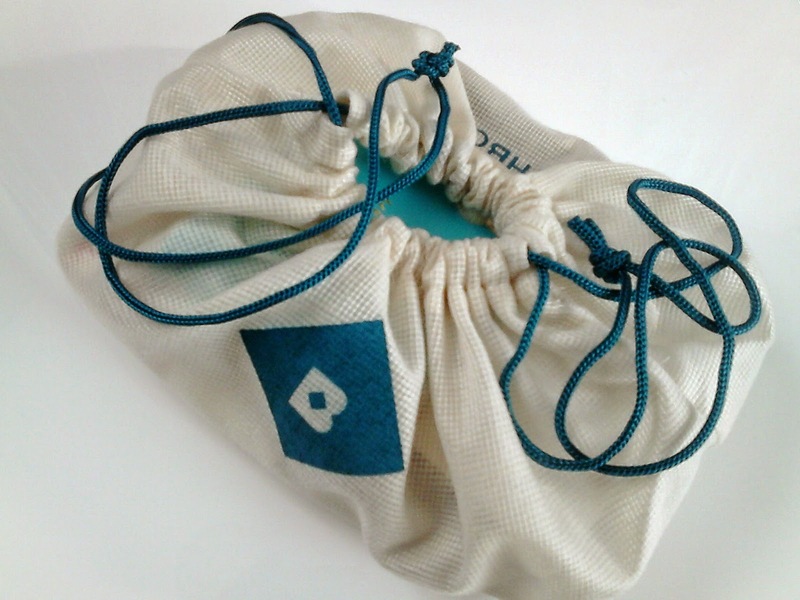 I don't know why but I was kind of expecting it to be a bigger sized box but I was astonished to see a lovely full sized product and a few sample sized products packed inside the white drawstring bag with a touch of turquoise. It's like they read my mind, I have been loving the colour turquoise lately. Let's get down to the contents now shall we? I received a full sized nail polish(non-toxic) from a brand I have never heard about before called Soigne. It's the most beautiful red shade named Pomegranate. I actually don't have a red nail polish in my collection at all so this is definitely a welcome addition. The nail polish comes in lovely white packaging enclosed in two pieces of foam to keep it from breaking. The packaging looks so luxurious and expensive. I can't wait to use it. I was so excited to see a liberal 30ml sample size of the cult favourite Liz Earl Cleanse and Polish Hot Cloth Cleanser and muslin cloth carefully wrapped up in tissue paper. I have never tried the Liz Earle Cleanse and Polish before but I had previously been thinking about purchasing it beforehand. I love that it comes with a muslin cloth too. I can try before I decide if I want to purchase a full size, how brilliant. It's all natural with ingredients including rosemary, chamomile, cocoa butter and eucalyptus essential oil. I am looking forward to trying this out. Next is the Benefit They're Real! Mascara. I admittedly haven't tried many products from Benefit before so I was very excited to receive a 3.0g sample size of the Benefit They're Real! Mascara. There seems to be a love/hate relationship surrounding this product so I'm intrigued to try it out to see if I'll enjoy it. I also received a 3ml sample size of the Aromatherapy Associates Revive Morning Bath and Shower Oil. For some bizarre reason the scent of this reminds me of the Vicks Vaporub. You know the stuff you rub onto your chest, back and neck to get rid of a blocked nose and common cold? Yeah, that stuff. It smells so strong but refreshing if that makes sense. I haven't tried it yet but I can't wait to try it out in my morning shower or bath as it's supposed to wake you up. It sounds like something that's going to come in handy when waking up at the early hours of the morning. Last but not least is the Beauty Protector Protect Shampoo and Conditioner duo. I love that they come together and not seperately so you can use them together. They smell lovely and they are both sulfate and paraben free and also suitable for all hair types which I love. I haven't tried any new shampoo and conditioners for a while so I am curious to see if they'll make a difference to my hair. 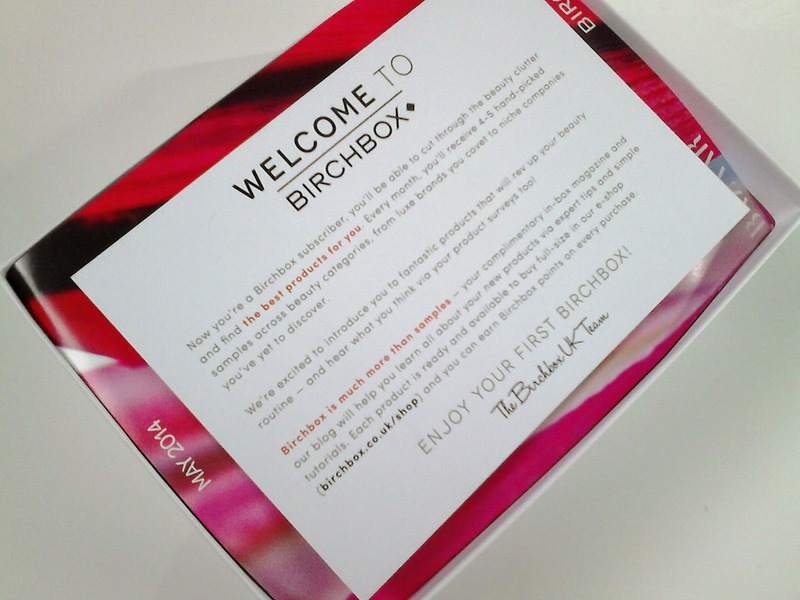 If you're interested in trying out a Birchbox for yourself then you can take a peek at the site here. 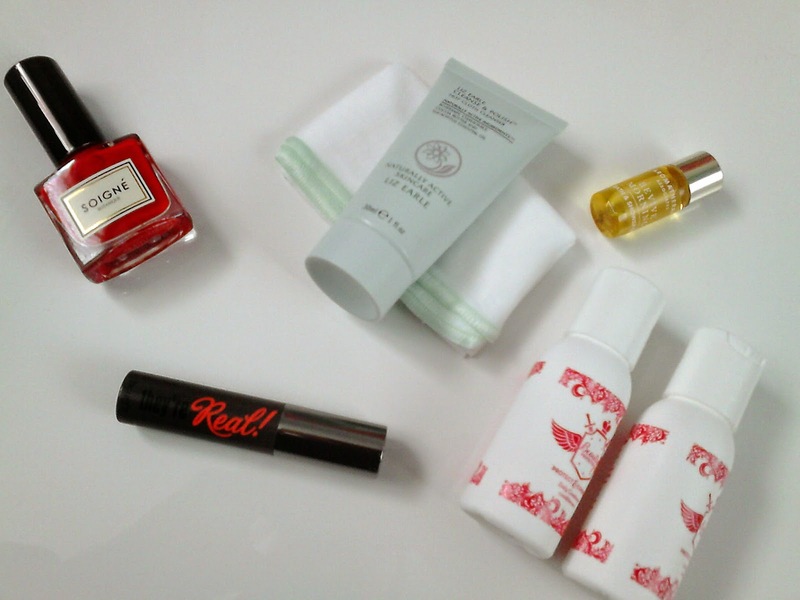 What do you think of the Harper's Bazaar May Birchbox?